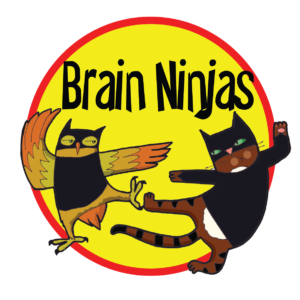 As ninjas we are always looking for ways to teach our students new skills like problem solving and critical thinking without the students KNOWING we are teaching them skills like problem solving and critical thinking. As part of our science curriculum, students in Alberta have to design and build devices that use electricity, so we came up with an electrical trivia game and the best part is students ENJOY it! We challenged them to design a board game that would use an electrical circuit to check if an answer to a trivia questions was correct or not. Some students thrived(and we’re not going to lie-some cried) but after doing this task every year for the past four years, it has a 99% success rate. (The 1%, well, despite our ninja super powers, we don’t actually control electricity) You can get all the student pages and the lesson plan at our store HERE. Students collect questions and their answers and then design a game board where connecting a circuit to the answer and the question will result in a correct answer lighting a light bulb. While we’ve used variations of this task forever, we never actually wrote it out as a lesson plan so other teachers could enjoy the several hours of work students will do trying to figure out this task. We always felt so bad when we saw teachers buying each piece one by one, so now they can get the electricity bundle for a discount. The bundle includes several critical thinking challenges and support resources like word wall words, flash cards and posters of symbols for circuit diagrams. There is also an interactive review game that uses Google Slides. We’ve been thinking of making this game for Powerpoint, but we’re not sure there would be any interest. If you’re interested, let us know in the comments below so we can put it on our to do list. So, do you have a teaching masterpiece sitting somewhere in your piles of teaching resources? It might just be the time to dust it off and share it with the world! the review game for powerpoint would be awesome for us low-tech teachers!